Thank you for supporting our twentieth season! Watch for our 2018-2019 brochure! 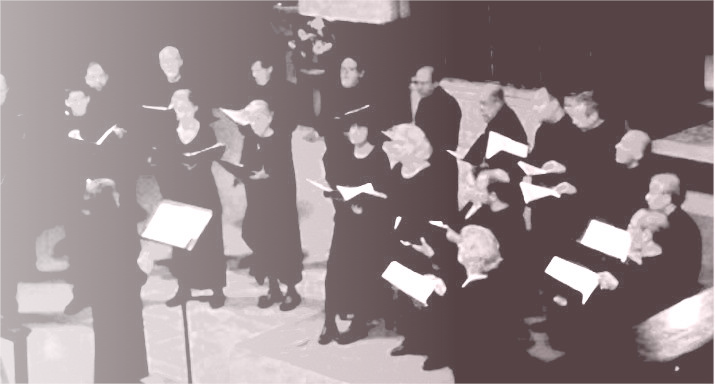 The women’s vocal ensemble Illuminare, Carmina’s sister organization formed in 2006, is directed by Vera Kochanowsky. Illuminare has established a reputation in the Washington area for tastefully persuasive interpretations of early repertoire. Carmina and Illuminare are honored to have received the Choralis Foundation’s 2016 Ovation Award in the category of Best Chamber Chorus in the capital region. In 2017 the groups were Ovation nominees for Most Creative Programming. 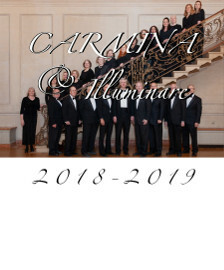 To learn more about our ensembles, please visit About Carmina and About Illuminare. Be sure to see our concert schedule at Upcoming Performances. Many of our programs are free or by donation. We hope to see you at a concert in the near future! Visit Carmina & Illuminare on Facebook.